So you don’t want to be a snowplow parent. What’s the alternative? You’ve probably heard the news story about the parents who illegally groomed a path for their kids’ entrance into college with bribes, lies, and Photoshop. And you’ve probably heard the shiny new term for the moms and dads who operate under this philosophy: snowplow parents. The New York Times published an iconic follow-up OpEd a week after the news of the college admissions fraud broke titled How Parents Are Robbing Their Children of Adulthood, profiling the celebrities who broke the law and parents who are less wealthy and seem familiar enough to be our neighbor. 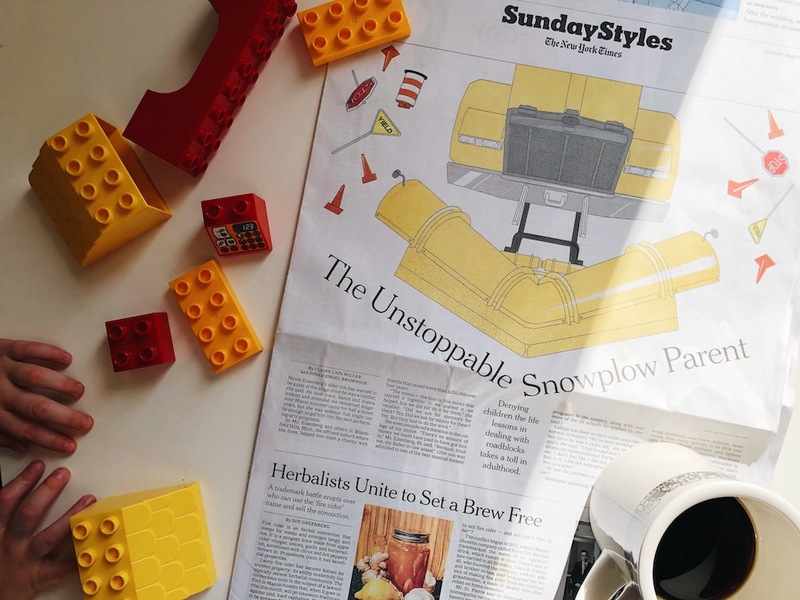 Modern parents, the article poses, “are more like snowplows: machines chugging ahead, clearing any obstacles in their child’s path to success, so they don’t have to encounter failure, frustration or lost opportunities.” These parents plow a path for their kids with the best of intentions: to help them meet an important deadline, for example. The problem arises when parental intervention becomes the norm and kids forget—or never learn—how to make deadlines on their own. Parenting is a sensitive subject; we’re all trying our best to raise small humans into kind, empathetic, resilient adults. If clearing the path of every obstacle or difficulty is counterproductive to growing strong, resourceful kids, what’s the alternative? Jessica Lahey, English teacher, columnist, and author cautions against overparenting and argues that her happiest and most successful students have been those who “were allowed to fail, held responsible for missteps, and challenged to be the best people they could be in the face of their mistakes.” In her book, The Gift of Failure, she encourages parents to resist evading failure for their kids. They’ll feel incompetent, unworthy of trust, and will be unprepared for the times when failure does happen. 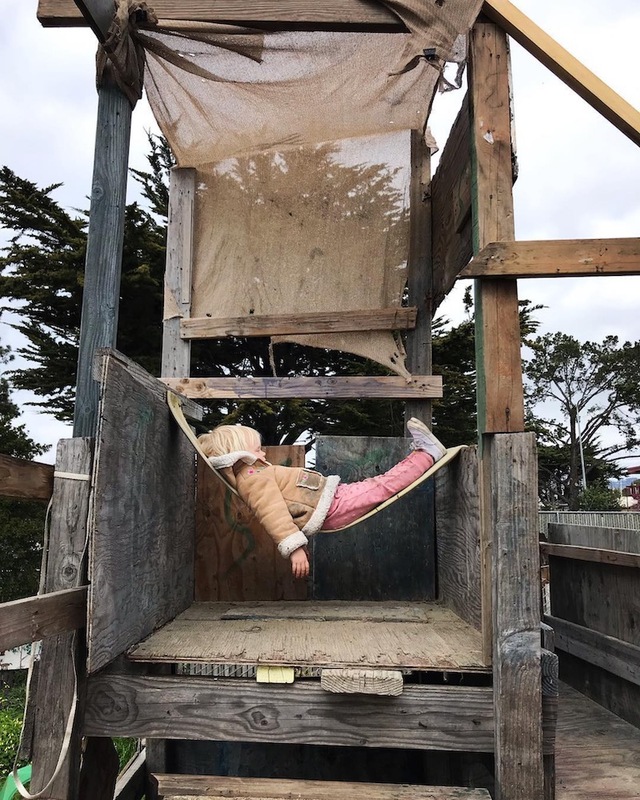 As honest as it seems to just give our kids a helping hand, there have always been skeptics of overprotective parenting and outliers who encourage free-range childhood and unsupervised play. Hanna Rosin is a contributing editor at The Atlantic and wrote a powerful article in 2014 about The Overprotected Kid. She documents her experience following a group of kids (including her own) around an unorthodox playground in North Wales called The Land. It’s hardly a playground though; there are no slides or prefabricated plastic equipment and the only swing is a frayed rope swing across a creek. There are trees to climb, wood pallets and crates to rearrange, a few discarded chairs to climb on, and fires to light. 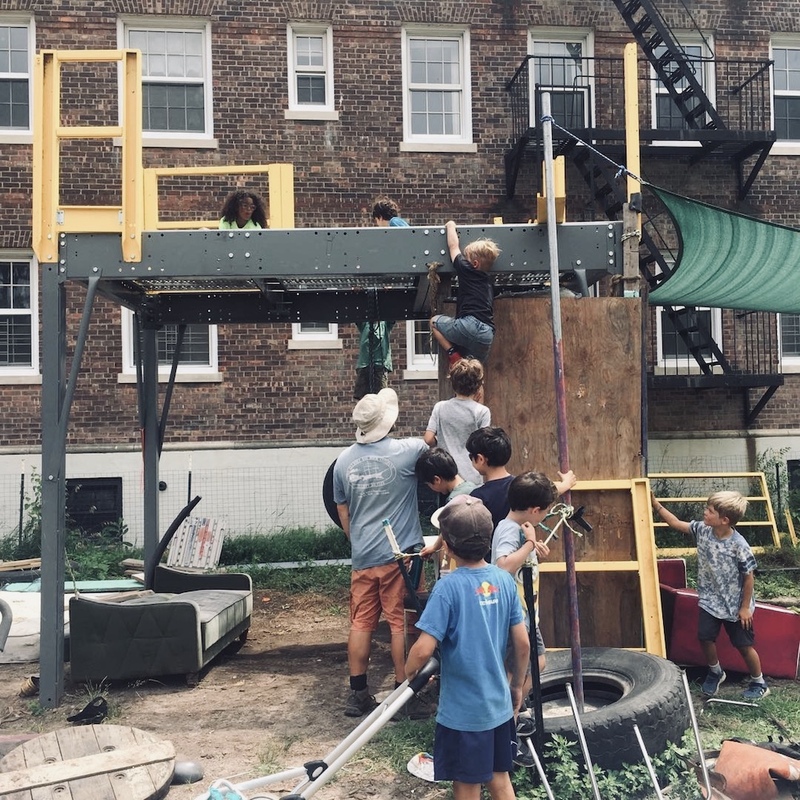 Another adventure playground in Governor’s Island, NYC. Photo via @playground_nyc. That’s a sobering thought, and it continues: “children have become less emotionally expressive, less energetic, less talkative and verbally expressive, less humorous, less imaginative, less unconventional, less lively and passionate, less perceptive, less apt to connect seemingly irrelevant things, less synthesizing, and less likely to see things from a different angle.” The authors speculate that these changes are appearing as children learn to interact in more impersonal ways, such as with screens and technology. The study isn’t all bad news though; the authors also give some simple ways to help our kids develop creativity. Free, uninterrupted time for children to engage in knowledge building on their own builds creative fluency along with finding problems. After all, creativity is essentially solving problems. It looks like snowplow parenting is the lastest developement in unhelpful parenting styles, and it’s actually pretty ingrained in our cultural push for excellence and achievement. Fighting against it may seem like swimming upstream at times, but I have no doubt that we’re up for the challenge. We’re taking about our kids, after all. We’d move the moon for them if we could, so giving them space to fail, to take risks, and to flex their creative muscles seems only natural. Sign up for our weekly email newsletter serving up a fresh take on urban parenting. We believe it’s possible to both survive and thrive in cities—making both ourselves and our city better in the process. © 2019 Sidewalk Media. All Rights Reserved. Happy Thursday. You're a great parent.